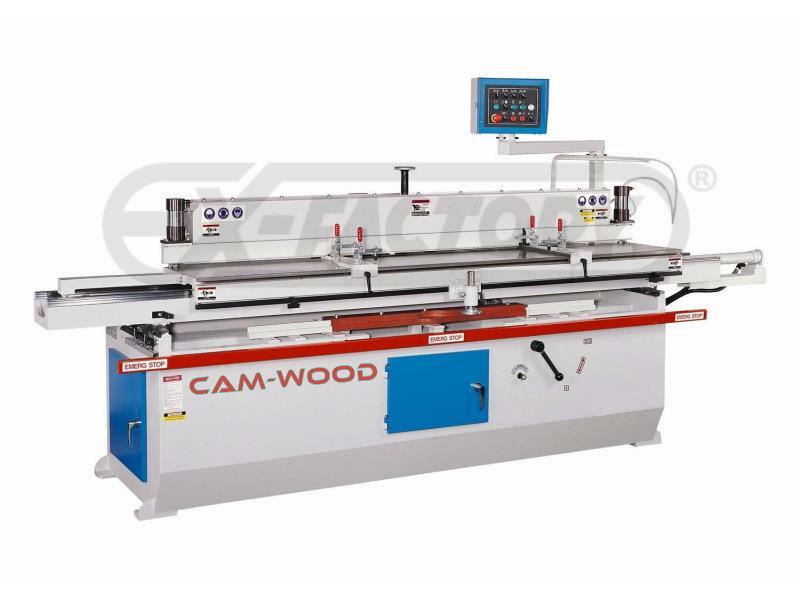 CAM-WOOD 86PAAU Raised Panel Door Machine machines entry door stile and rail door parts as well as cabinet door parts, chair legs and furniture parts, up to 86" length and 7" width.. One operator to machine profiles to the rail copes, stile and rail sticking and raised panels with rapid change over all on one machine for high productivity. 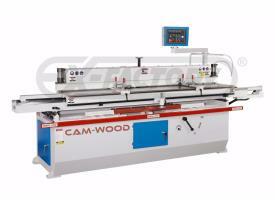 Hydraulic table movements from right to left to achieve powerful cutting and adjust cutting speed variability. Table movements in and out are pneumatic powered to follow a template sensitively. Capacity for machining a 6" arch/oval on panels and rails, and raises both face on a raised panel at the same time (arc size varies depending on cutter diameter). Heavy duty 10 HP motor, allows for high speed cutterhead to eliminate unnecessary sanding. Machines door stiles up to 86" in length. Spindle Motor 10 HP @ 7,000 RPM; Hydraulic Motor 1 HP; Feed Speed 0-60 FPM. Spindle Diameter 1-1/4"; Spindle Height 7"; Depth of Radius Cut 6”; Min. Radius Cut 6" (based on cutter diameter) machine door stiles up to 86" in length. Dust Hood is 4" dia. Comments: Great Value for Entry Doors or long Cabinet Doors!